The Football Association has today opened public nominations for the ‘Unsung Hero’ and ‘Best Participation Initiative’ at The FA Women’s Football Awards. Fans and players are encouraged to nominate suitable candidates for the prestigious accolades. The annual awards ceremony will take place on the evening of Friday 1st June 2018, at The Brewery, London and for the 20th year will celebrate the very best of women’s football, from grassroots through to international level. The FA Women’s ‘Unsung Hero’ award is open to players, coaches, administrators, volunteers and anyone actively involved in the sport who has made a recognisable contribution to women’s football over a sustained period of more than 20 years. The winner of the ‘Best Participation Initiative’ will represent the values of the FA strategy for women and girls, which aims to double participation by 2020. The award celebrates initiatives that encourage girls to believe that football is a sport for them as well as recognise the success of grassroots football development programmes that have inspired women and girls to play. 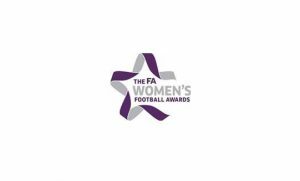 Nominations are open from Friday 9th March to Wednesday 21st March and those who wish to can submit their nominations for The FA Women’s ‘Unsung Hero award’ here and ‘Best Participation Initiative award’ here. The nominations will be pre-assessed by a team of women’s football experts and a shortlist will go forward to a judging panel. The final decision will then be announced at the Awards on the Friday 1st June.